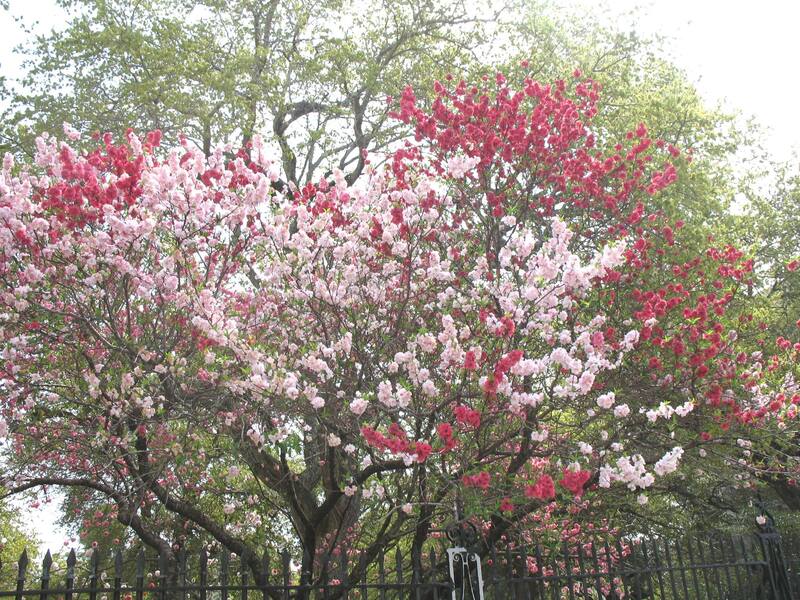 Comments: Three colors of flowers on the same tree--light pink, pink and red--make a spectacular show in spring. As a specimen, accent or in groups this is an eyecatcher. Insect and disease problems make this and all peaches high maintenace choices.